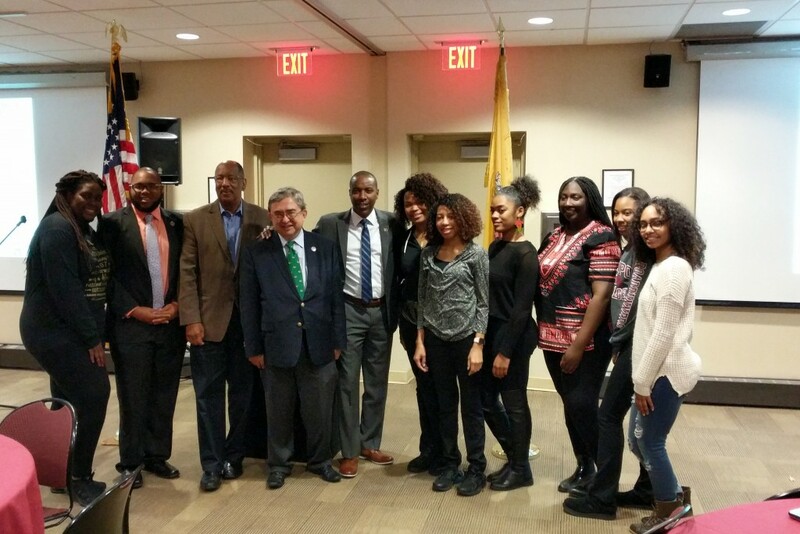 Members of the New Jersey Legislature spoke at a Black Student Union-hosted banquet commemorating Black Solidarity Day in the Alumni Lounges on Monday night. Assemblyman Gordon Johnson (D-37) and Jamel Holley (D-20) stressed the importance of black youth participation in community and national politics. BSU President Jereyah Johnson, a third-year student, opened the banquet. She believes African American voters need to cast their ballots in greater numbers (black turnout dropped in 2016, according to a report published by the Pew Research Center). Many students attending the banquet live within Holley’s district. He was met with applause as he walked to the podium. Johnson stressed the presence of the two officials, both men of color, as key to the event’s impact on attendees. “We can actually relate to these guys, because they grew up just like us, in urban areas,” said Johnson. Third-year student Stephan Lally is the President of the Student Government Association and an employee of the College’s Office of Government Relations. He invited Holley and Johnson to the event. “They were very gracious to give us their time on the night before elections,” Lally said. Holley left to attend a rally in Elizabeth following the conclusion of his banquet speech. 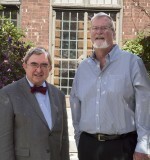 Gordon spoke next, fielding questions and comments from students and members of the College administration, among whom included president Peter Mercer and members of his cabinet. Gordon expressed his appreciation for the Ramapo BSU in a comment given after the banquet. Black Solidarity Day was founded in 1969 by Dr. Carlos Russell, a New York-based activist and scholar inspired by the 1965 Douglas Turner Ward play “Day of Absence,” a satire depicting a fictional southern town suddenly devoid of its black population. Since that inaugural event, the day has been observed nationally on the Monday prior to election day in November. Russell passed away last July at the age of 84. “We’re going to keep his legacy going,” said Johnson. Ramapo’s BSU has extended Russell’s day into a week’s worth of activities on campus. Lally praised the BSU’s programming, citing its focus on the black experience both at Ramapo and in America at large. “It’s about sticking together, knowing who we are and not straying from the path laid out by the people before us in the Civil Rights Movement,” he said. Black Solidarity Week at Ramapo will conclude on Friday, Nov. 9, with a closing ceremony in the Trustees Pavilion. Attendees are encouraged to wear black to the event, which will begin at 6 p.m.